Author’s Note: Hello Forever was previously published as It's Never Over. This is a stand-alone novel with no cliffhangers. Readers of Goodbye Paradise will get to check in on Caleb and Josh and their clan. Having read and loved Goodbye Paradise, I was excited when Hello Forever hit my Kindle. First off, if you read book one, you’ll be pleased to know that Josh and Caleb have significant roles in this installment, albeit with limited page time. If you haven’t read Goodbye Paradise, don’t fret because their backstory has no impact on this storyline, so you won’t be lost. It just made for a nice opportunity for me to catch up with a couple of guys whose story I loved immensely. Axel is a recent college grad who is hoping to find a job that will enable him to use his degree in a way that wants. While the job offer he received from Barmuth University is what he wants, the Ohio boy is not sure if moving to Massachusetts is worth it. The small rural town of Henning doesn’t have much to offer. At least that’s what Axel thinks until he catches a glimpse of someone from his past, someone he cared about deeply, and someone he hasn’t been able to track down online since that fateful day six years ago, when they were caught kissing. Suddenly, Henning looks like it’s exactly where Axel is supposed to be and he cannot wait to get there. Unfortunately, when Axel finally gets to reconnect with Caxton, he learns that Cax’s father is still unapologetically homophobic and still controls Cax’s life. So Axel decides to take what he can get and tries to forge a friendship with Cax, but Cax’s fear of his father makes this easier said than done. When Cax’s worst fear is realized and his father learns that Axel is in Henning and they’ve resumed their friendship, the fallout is worse than either man could have imagined – and I have to say, I was surprised with how far Cax’s father was willing to go to keep Axel out of his son’s life. While there is a bit of religion included in Hello Forever, it does not play nearly as significant of a role as it did in Goodbye Paradise, so those readers who skipped book one because of the religious aspects can wade in safely here as the religious-based scene will likely leave you chuckling at the complete lack of timing Axel and Caxton had – especially once Axel gets on the phone with his mother. Theoretically speaking, the storyline really shouldn’t work. I mean really, you have a guy who spots his best friend and first crush who, in essence, disappeared from his life six years earlier; the guy then uproots his life on the hope that he can reconnect with his long-lost friend and maybe pursue a relationship with him; but upon learning that his long-lost friend has no intention of coming out of the closet because he fears what his father will do, he agrees to be just friends, but not even friends who can be seen together in public. And yet, Bowen pens the tale in such a way that I had no problem believing that Axel could accept Cax’s conditions, at least in the beginning, and when they were forced to take an even farther step back from what friendship they did have, it was still believable. Why? Because some people really are capable of doing what’s best for the person they love, even if that means giving them up and Bowen crafted Axel perfectly to be such a person. For me, Axel’s character is what made Hello Forever believable and had me rooting for him and Cax to get their happy ending. While I hate what they had to endure on their journey, I’m glad that Axel and Cax were able to find their road to happiness. I’m also giddy that the Epilogue suggests that another book in the series might be coming and I for one, cannot wait. 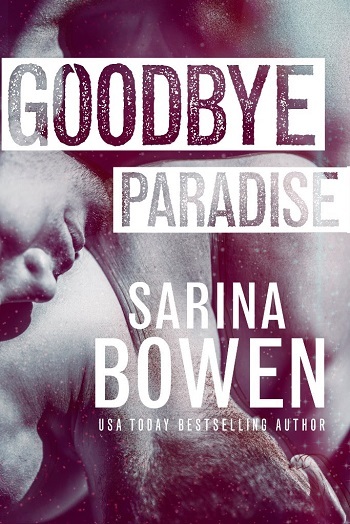 For reviews & more info, check out our Goodbye Paradise post. 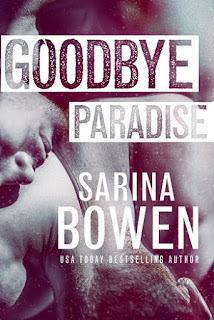 Reviewers on the Wicked Reads Review Team were provided a free copy of Hello Forever (Hello Goodbye #2) by Sarina Bowen to read and review.